Rugao Yaou Company has supplied high quality mud pumps and mud pump parts to global customers for several years. Our F series mud pumps have achieved the level of LTV Co. F series mud pumps in terms of manufacturing technique and quality. They feature advanced design, compact structure, reliable use, and are simple to maintain. Today, our F series mud pumps are produced in batches and exported to many oilfields abroad. Thank you for browsing the Rugao Yaou Company website. 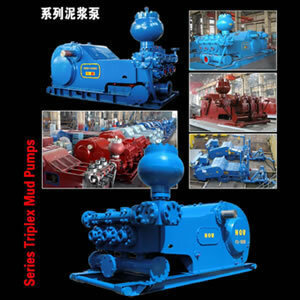 As an experienced mud pump manufacturer and supplier in China, we understand how to produce a reliable product. Our drill bits, wellhead control equipment and well cement tools are high quality and provided at low prices. Presently they are sold to many countries, like America, Germany, Russia, and others. Welcome to contact us for any information you needed. We are confidant that we can provide your desirable drill rig parts and service.